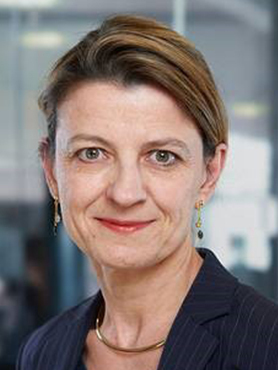 Agnès Audier is a Partner and Managing Director of The Boston Consulting Group in Paris and “Ingénieur en chef du Corps des Mines”. Before joining BCG, she held positions at Havas (EVP Chief Performance Officer) and Vivendi Universal (EVP Strategy & Business development, then Head of Internet-Technology Division). She started her career in the M&A department of La Compagnie Financière Edmond de Rothschild. She was Technical Advisor to Simone Veil, Minister of Health, and PPS to Jean-Pierre Raffarin, Minister of Small Business & Trade. She graduated from Ecole Normale Supérieure, Ecole des Mines & Institut d’Etudes Politiques de Paris, and holds postgraduate degrees in physics. Agnès Audier interviendra dans la session étudiante du dispositif La Parole aux Etudiants vendredi de 10h30 à 12h00.